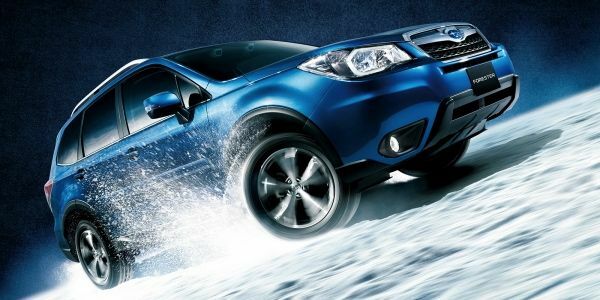 Subaru has announced the arrival a special edition 2014 Forester X-Break that will come with special sporting equipment. Subaru is attracting new customers to the brand in record numbers and the new 2014 Forester X-Break is a good example why. What better way to attract new millennial buyers than to bring out a new Forester SUV with extra equipment geared towards active lifestyles? This new Forester launches in Japan today, and it’s a good bet it will catch on and be available in other global markets soon. What sets this new multi-use Forester apart from the rest? The new Forester X-Break gets special equipment that will make this SUV a real water and winter sports enthusiasts dream vehicle. It comes with extras like a water-repellent rear cargo floor board and water-repellent fabric on the seats. This will give the mid-size SUV the extra utility to handle wet skis, snowboards, and surfboards. This will be ideal for active millennials who will use the multi-use vehicle for any number of sporting activities throughout the year. It will take its owner and passengers to the mountains and beach and they won’t have any worries about wet equipment and clothes when they are done after a fun day. Subaru has figured out who their niche market is, and they are giving them what they want. The Forester X-Break can expand the use of the vehicle to include the activities these buyers are already doing. It will further enhance the usability for outdoor and winter sporting activities. Other special features will include an attractive orange stitching on the armrests and seats for an extra bright interior appearance. The Forester X-Break is a model that was launched as a production model based on the “Forester X-BREAK" exhibited at the 43rd Tokyo Motor Show, which was held in November. It will also have some special goodies on the outside to set it apart. It will come with specially equipped Silver roof rails, 17 in. dark silver aluminum alloy wheels with glitter cutting and "quartz blue pearl" exterior paint. Other X-Break features inside will include decorative carbon interior panels, a Leather-wrapped steering wheel with orange stitching, Leather-wrapped shift lever with piano black decorative panel and a Shift Boot with orange stitching. It also comes with a sliding console lid covered in synthetic leather. The Forester X-Break will come with the excellent all-wheel-drive that will take its occupants just about anywhere they want to go. Add this to the new X-Break package, and you've got an ideal sports vehicle. A test by USAC, showed the Forester outperforms all other popular mid-size SUVs in this segment. Subaru has developed a unique niche for their multi-use vehicles and they are appealing to a generation of buyers who lead active lifestyles. The new 2014 Forester X-Break is why young active sports enthusiasts are being drawn to the brand. The new model launches just in time for winter sporting activities.